Nationalize the Leamington Heinz Ketchup Plant under Workers Control! The H.J. Heinz Company, the largest employer in Leamington, Ontario plans to shut the doors on its century old food processing plant in June 2014. 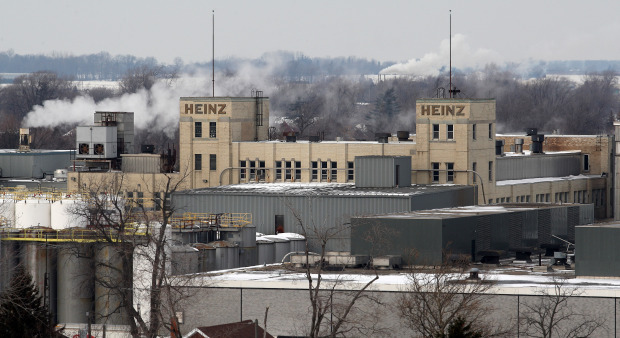 The plant, which is Heinz’ second largest facility in the world, manufactures processed foods. It employs 740 full time positions and up to 500 seasonal positions, all members of the United Food and Commercial Workers (UFCW) Local 459. The closure will also impact local farmers who have grown tomatoes for generations in Southwestern Ontario. It is one of Canada’s warmest areas with one of the longest growing seasons, known locally as the ‘Sun Parlor’. The facility was originally built in the area also due to the sandy soil and light rains that provide excellent conditions for growing field tomatoes. The plan to close the Heinz plant coincides with closures in South Carolina and Indiana, reducing the workforce by 1,350 positions. This move follows the axing of 600 office jobs last summer after a $28 billion takeover by Warren Buffet’s Berkshire Hathaway Inc. and the hedge fund 3G Capital, a Brazilian investment firm. Heinz claims that sales in its North American division dropped by 1.4 per cent, or $46 million (U.S.), to $3.2 billion in the last fiscal year. The company claims that it has too much manufacturing capacity to meet the demand for ketchup, sauces, baby food and other products. Production will be shifted to their lower wage facility in Ohio, which will add 250 positions and invest $28 million to expand the plant. 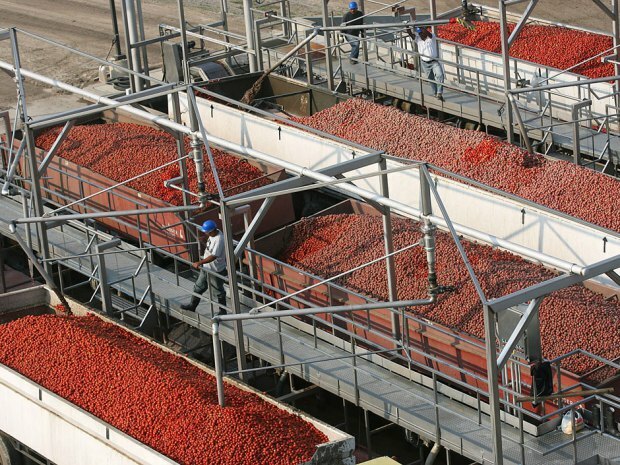 Heinz has contracts with more than 40 area farms to buy 40 per cent of Ontario’s 500,000-tonne tomato crop. Now farmers are asking for compensation from Heinz for the cancellation of their contracts and for work they have already put into next year’s crops. The farmers who were under contract to supply Heinz with tomatoes are left trying to find a new crop to plant in the spring, and some way to replace the business that has kept their farms busy and profitable for generations. The closure will have a major negative impact on an entire region. Ontario Premier Kathleen Wynne claims that the Ontario Government “did everything we could” to prevent closure of the plant. The Liberal leader has offered $200,000 to, as she says, ‘help’ the community of Leamington identify and pursue new opportunities for growth. This pittance of $160 per full time, part time and seasonal position has understandably enraged workers who depend on these jobs. The hands-off approach of the Bay Street parties is no surprise. NDP MPP Taras Natyshak (Essex) criticized the government for not heeding warnings of the closure months in advance and pointed out the hypocrisy of the ruling Liberals, saying “Your Liberal government keeps talking about local food,…but stands idly by as processing facilities shut their doors and devastate communities.” Wynne’s response was to attack the NDP for attempting to “control the private sector”, something that she said she would not do. The NDP should be calling for the government to force Heinz to compensate the farmers for all costs to date and honour their contracts. The Ontario Fruit and Vegetable Growers Association is on record since 2010 (when other processing companies were failing) with its demand that the government create a Farm Financial Protection Program (similar to that for beef farmers) for horticulture producers. Such legislation should be introduced immediately to protect all farmers from corporate failures. Tim Hudak, leader of the Provincial Progressive Conservative Party claimed that the plant closed due to high corporate taxes — a cruel joke considering that Ontario has some of the lowest corporate tax rates in North America. On November 26 the Ontario Federation of Labour Convention adopted a resolution with no teeth, submitted by the UFCW Canada National Council. It calls on the provincial government “to take whatever action is necessary to support continued production at the facility.” A delegate who spoke to this issue urged the labour body to look at social struggles in Argentina and Bolivia that advanced the idea of workers’ control of closed plants, supported by government financial aid, as examples of what should be done in Leamington. Efforts to protect jobs and benefits for workers need to take a class approach. Canadian nationalism benefits only the bosses. It deflects attention away from the real problem, capitalism. The maximization of private profits, a driving force of the global capitalist system, is the culprit in this drama. 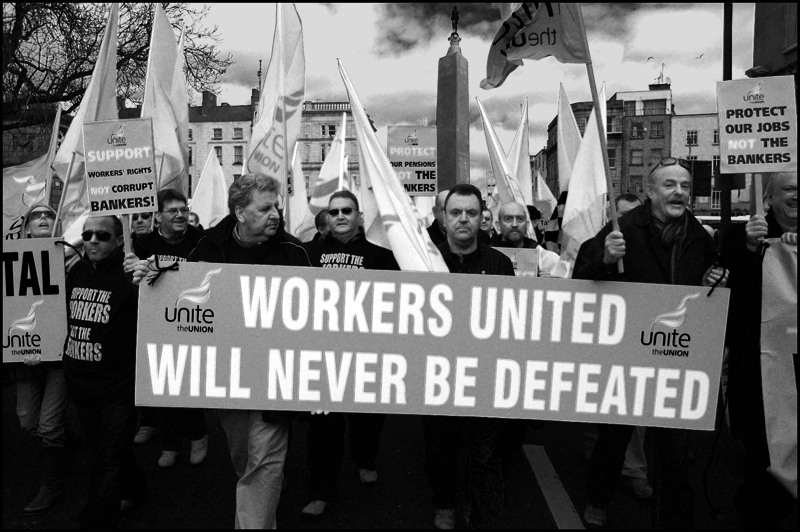 Workers and farmers have power if they unite. In this case, workers in Leamington should occupy the factory, take control of the machinery, and operate the equipment for food processing – a socially useful function. The corporate attack on the workers and farmers in Leamington will devastate the region’s economy, a region already reeling from closures in the manufacturing sector in nearby Windsor, Ontario (just across the river from Detroit, Michigan). Workers and farmers create value through their labour in the food industry. Only through public ownership and democratic control can they continue this vital work and sustainably provide a variety of locally grown and locally processed foods to a vast region.